Mangaluru, Mar 08, 2018: A lady was walking alone when two youths approached her in a bike, stopped her and tried to sexually assault. Her screams attracted other youth in the vicinity and the culprits scooted in haste. This incident took place near Muduperar Arkepadavu at night 8:30pm. The police nabbed the accused and produced them to the court. The accused are identified as Padmanabha Gowda (32) and Santosh Poojary (20) from Muduperar. 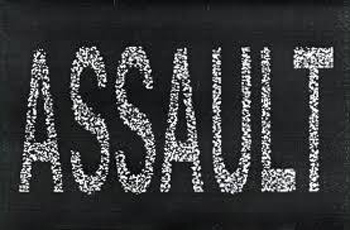 The victim lady works at a private hospital, returning back on bus after work, alighted near Muduperar Church and was walking back home when the youth came on a bike, waylaid her, covered her mouth and grabbed her hand and pulling her along with them, when she started screaming. Hearing the screams, youth who were in a nearby shop came rushing seeing which the accused escaped leaving back their bike. A case was registered at Bajpe police station. Bajpe police conducted an investigation and carried an effective operation on Tuesday and arrested both the accused in Muduperar. The accused were produced before the court which remanded them to 15 days of judicial custody.